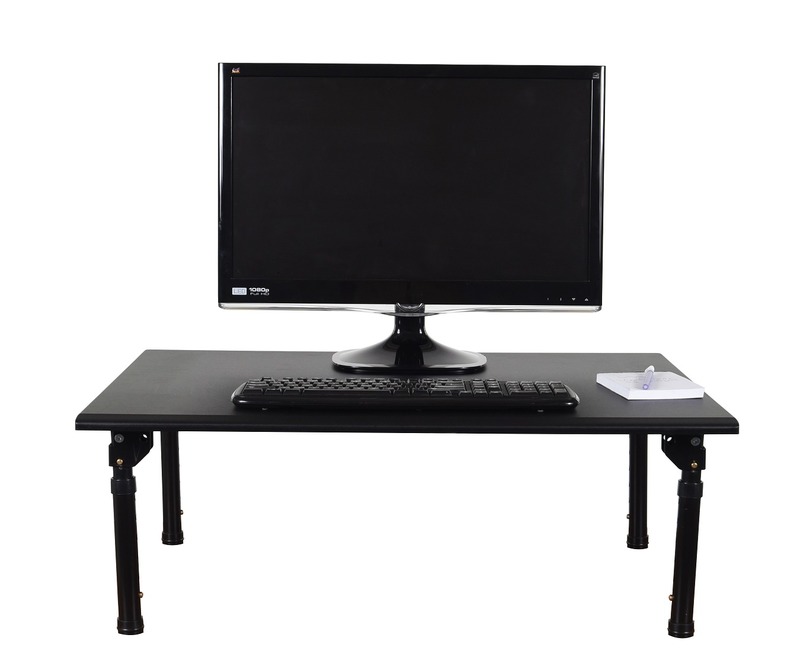 The new standing 32" standing desktop desk with foldable legs is the latest and most versatile desktop converter. With four fully collapsible legs and a discreet carrying handle, users can easily move their desk to another area or store it for later use. Use the STAND-SD32F to create a healthy workspace and combat sitting disease with this portable standing desk. It is lightweight and adaptable for and flat work surface in office, homes. dorms, healthcare facilities, hotels and classrooms. It has four foldable legs for convenient storage. 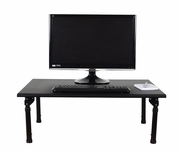 32"W x 23.5"D desktop gives ample space for monitor, keyboard, laptop, and other desk necessities. 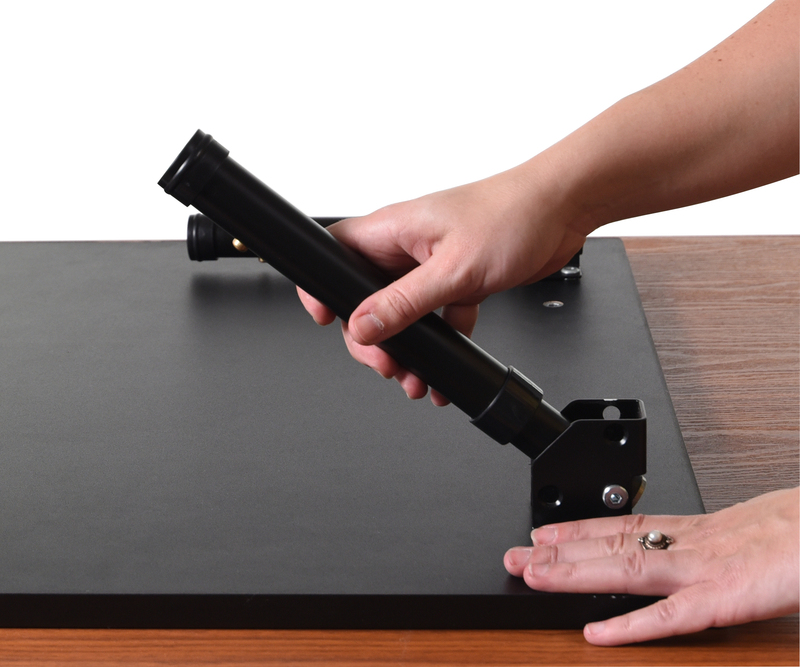 Steel carrying handle under desktop provides easy mobility. Holds up to 75 lbs. of evenly distributed weight. Push buttons to adjust the height in 1" increments. No assembly required. Dimensions: Desk 32"W x 23.5"D x 11.5" to 16.25"H. Work surface is 32"W x 23.5"D.